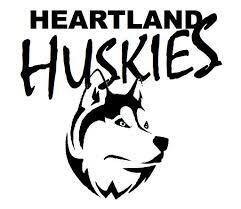 Heartland Community Schools is a state accredited K-12 school district located in south-central Nebraska. The district encompasses 154 square miles of land in York and Hamilton county. Communities that comprise the district include Henderson, Bradshaw and parts of Lushton and Stockham. The district was formed in March 1998 when Henderson Community Schools consolidated with Bradshaw Public Schools. Until the beginning of the 2007 school year, there was an attendance center in both communities. Currently the high school, intermediate, and primary schools are all located in Henderson. The economic basis of the district is mainly agriculture, with some industry. Our K-12 student population is currently at 300. The staff includes 3 administrative positions, 33 teachers and 24 support staff members. The student to teacher ratio at HCS is currently 9.1 to 1. In 2013, Heartland Community Schools implemented a technology initiative that loans a laptop computer to all students in grades 7-12 and has iPad devices available for elementary students at a 1:2 ratio. The initiative also provides for teachers training regarding the integration of the technology in to the classroom.